Enjoy the charming, loose and colorful nature of Watercolor at its best. Sharpen your observation skills, color awareness, and learn simple design principles. Explore various Watercolor tools and techniques. Whether you want to improve your painting skills or take the next step as an artist, you will come away from this workshop excited about your art work. Students will benefit from informative demonstrations, friendly critiques, and one on one instruction. Workshop will be offered for all levels. Please join us in a relaxed, fun and exciting atmosphere and begin or further your adventure in Watercolor. Bring snacks if you like. Supplies: The Arts Center will be providing supplies, but if you have your own, please bring what you can/want. Below is a list of what we will be using in class, but if you are wanting to purchase your own supplies in advance, this is what we encourage you to purchase. Sketch pad 16" x 12"
Sennelier Pastel Sets, Half Sticks, Portrait, Set of 40 for $72.51, or Sennelier Soft Pastel Set of Assorted Colors in Half Sticks set of 20 for $36.00. 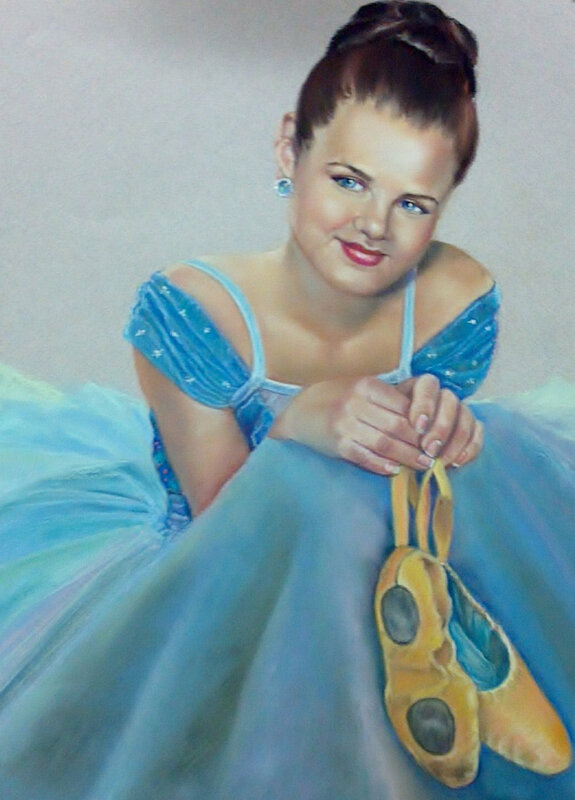 Richeson soft pastels or Rembrant Soft pastels are a good substitute but they can be pricey, you can get single soft pastels in skin and neutral tones if you have the time to browse around. No sanded pastel paper or pan pastels please. You're on your way to building beautiful Stained Glass Window Art! In this 5 week class that runs Thursday evenings, you'll learn all you need to make a pattern, cut & grind the glass, solder, and frame to walk away with a finished piece. No experience needed. Build your own stained glass window from scratch using the copper foil technique. Students choose their pattern and pick out glass, learn to cut, solder, and frame a finished piece. When class is finished, students will have the necessary skills to continue into an intermediate class. Stained Glass is not appropriate for pregnant ladies. 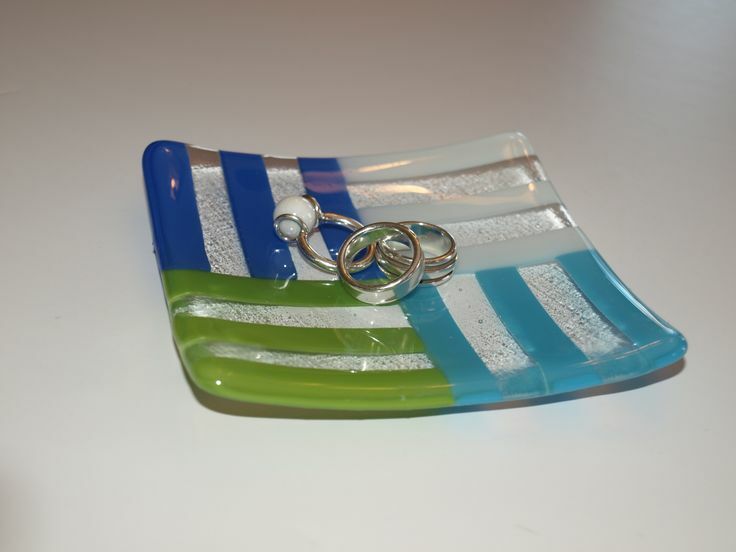 Please try a fused glass class! Wind chimes bring a certain energy and balance into your life! Lets make beautiful chimes in this workshop to bring that energy into your home. We will start from scratch to finish and we will even glaze in this class! Approximately 2 hours and ready for pickup in a few weeks. Wind chimes have a long and varied history. Their development spans cultures, continents and uses. As one of the world's first musical instruments, wind chimes have long been known for their soothing, meditative and sometimes earthly sounds. As a result of their unique sound, wind chimes have served as a way of shaping the atmosphere of natural environments for millennia. Prerequisite: You must have had a pottery class or workshop within the last year. This class is designed for any level after having learned basics of pottery, clay and the studio. Instructors are on site to guide you. Materials: Bring your own clay. You can purchase clay from Standard Ceramic in Pittsburgh. Potters Jennifer and Kevin Boyle will be in the studio each week. The instructors will guide you over the hump, to get you to the next level in your pottery quest. Work independently. Title: Exploration in Watercolor March 5,12,19,26 6:00-8:00pm. Enjoy the charming, loose, and colorful nature of Watercolor at its best. Sharpen your observation skills, color awareness, and learn simple design principles. Explore various Watercolor tools and techniques. Whether you want to improve your painting skills or take that next step as an artist, you will come away from this workshop excited and inspired about your artwork. Students will benefit from informative demonstrations, friendly critiques, and one on one instruction. Workshop will be offered for all levels, especially the beginner. Please join us in a relaxed, fun and exciting atmosphere and begin or further your adventure in Watercolor. $40 material fee is paid directly to the instructor upon arrival. Create your own fused glass wind chime, that fits your style and personality. Students will have a variety of glass to choose from. Designs and possibilities are endless. Chimes will be ready for pick up within 2 weeks. See what the art of Stained Glass is all about! In this one-day class, you'll get all the basics of glass cutting and soldering, and walk away with a small stained glass piece for you window! All materials are supplied. No experience is needed. 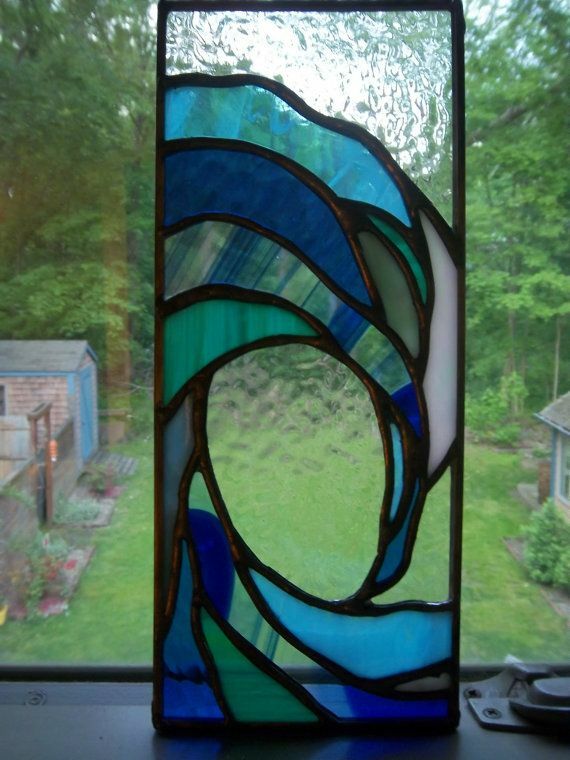 The one-day stained glass class is a great way to “get your feet wet” and see what the process of stained glass is like before you make the investment into our 5 week session. In this class, you get through all the steps: Pattern Transfer, Glass Cutting, Grinding, Foiling, and Soldering, and go home with a project that is either 6x6” or 5x7”. For this project, you will choose from our selection of templates, as you'll quickly learn that knowing how glass ‘behaves' is key to creating your own designs for future projects! Grab your bestie (or a few) and create mugs that fit your personality. The workshop will be approximately 2 hours long. Perfect for a Saturday morning after coffee. Materials are included in the cost of class. Items will be ready for pick up within a few weeks. In The Class, the instructor will teach you how to make a ceramic mug from clay slab. After building the form, you will finish your work with carving and color slips decorating. *** The work takes two firing processes by bisque firing and glaze firing, and it takes about two weeks or more to complete the firing process. Additional cost for extra mugs! One Month: $45. You can set up four session at this rate anytime between Jan 23 and March 13. Sign in sheets located in the classroom. Prerequisite: You must have had a pottery class or workshop within the last year. This class is designed for any level after having learned basics of pottery, clay and the studio. Materials: Bring your own clay. You can purchase clay from Standard Ceramic in Pittsburgh. The option to purchase recycled clay from The Arts Center is available, please inquire for details. Recycled clay is every bit as good as new clay. Cost for recycled is $20 per 25 lbs. Potters Jennifer and Kevin Boyle will be in the studio each week. The instructors will guide you over the hump, to get you to the next level in your pottery quest. Work independently if you chose, and instructors are available if you need guidance. $20 material fee is paid directly to the instructor upon arrival. Create your own fused glass sun catcher, that fits your style and personality. Students will have a variety of glass to choose from. Designs and possibilities are endless. Sun catchers will be ready for pick up within 2 weeks. Professional fused glass artist Jennifer Boyle, will instruct introductory fused glass including glass cutting, kiln forming, and cold working. Students will partake in the hands on learning process. What is Fused Glass? "Glass fusing" is defined as the heat bonding of separate pieces of glass in a kiln. New to glass fusing? Ready to begin your glass fusing education? Good news, you've come to the right place. It's easy to learn the basics of fusing glass. It's also challenging, fun, and the possibilities are endless. You'll also explore the properties of fused glass as an art-making material. Fused glass is glass that has been fired in a kiln at a range of high temperatures from 593 °C to 816 °C. There are 3 main distinctions for temperature application and the resulting effect on the glass. This is an 8 week class. We will limit the number of students to six (6.) Please do not wait til the last minute to register. Material Fee: $25 per bag of clay. Please pay this cash fee to the instructor on Day 1 of class. This class is designed for the beginner or intermediate student. Professional Potters Jennifer and Kevin Boyle throw an 8 week fun and relaxing Hand & Wheel Pottery Class. Traditional hand and wheel class; this class teaches hand building and wheel throwing. Create beautiful pieces such as bowls, mugs, vases... or maybe you have a different idea, but it will fit your personality! $45 Members, $55 Non Members + $25 material fee for one pendant, additional pendants are $20 each. Material fee is paid directly to the instructor upon arrival. Create your own fused glass pendant that fits your style and personality. Students will have a variety of glass to choose from. Designs and possibilities are endless. Students will make one pendant and each will have a bail attached prior to pick up. January 7, 14, 22, and 28. The 22 is a Tuesday, we are closed on Monday the 21. This drum class meets once a week, four times a month, instructed by Drum Artist Anthony Douglas, and features instruction time with basics and question and answer sessions. Focuses on playing a drum kit. Drumming can be a joyful and effective way to reduce stress, connect with oneself and others, live in the moment, and build musical skills. Anthony’s facilitation makes drumming engaging, accessible and fun. No prior musical experience is necessary for this class. Beginners are especially encouraged. What to bring: Sticks and drum pads if you have them. You can purchase them locally at BJ Music and Pawn Shop here in Elkins. Anthony is a well-rounded man of many disciplines: independent extreme metal drummer, drum clinican, educator, private drum instructor, and composer. He is also the owner and member of drum workshop program called: Extreme Drumming, Drummers do it BEST. Born in March of 1977, he started playing guitar at age 10. Later, at age 12, he picked up his first drum set and began to play. It was at that time Anthony joined his first band, playing local shows and live sessions. His many years of studio experience includes work with multiple bands such as: Lucif, Delverance, BloodRush, and many others. Anthony joined Ground Zero Disciples in 2004, recorded 4 albums with them and helped them push forward to the extreme metal scene. His inspirations include: Buddy Rich, Cozy Powell, John Bonham, Keith Moon, Simon Kirke, Stewart Copeland, Carl Palmer, Bill Bruford, Jon Hiseman, Vinnie Colainta, Terry Bonzona, Nicko Mecbrain, Mike Terrana, Danny Carey, Dave Lomburdo, Vinnie Paul, Steve Asheim, George Kollius, Martin Axenrot, Frost, Hell Hammer, INFERNO, and many others. 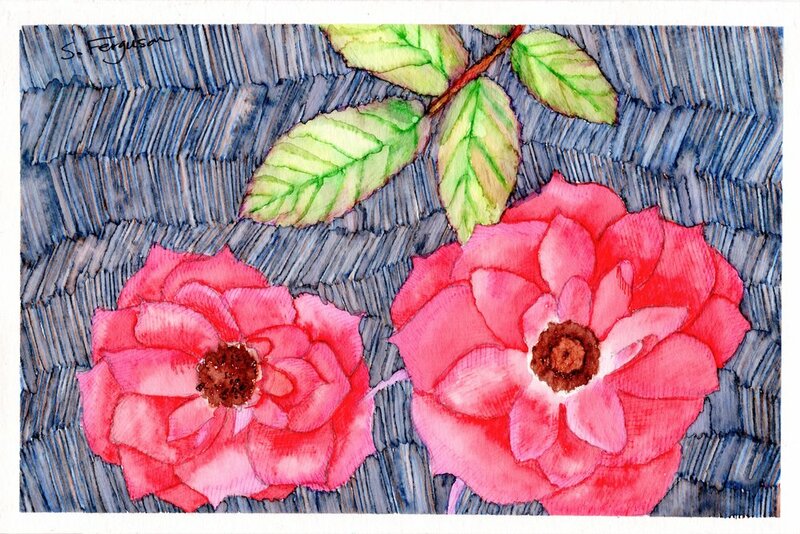 Class Description: This class is offered from West Virginia Watercolor Artist, Sarah Ferguson. 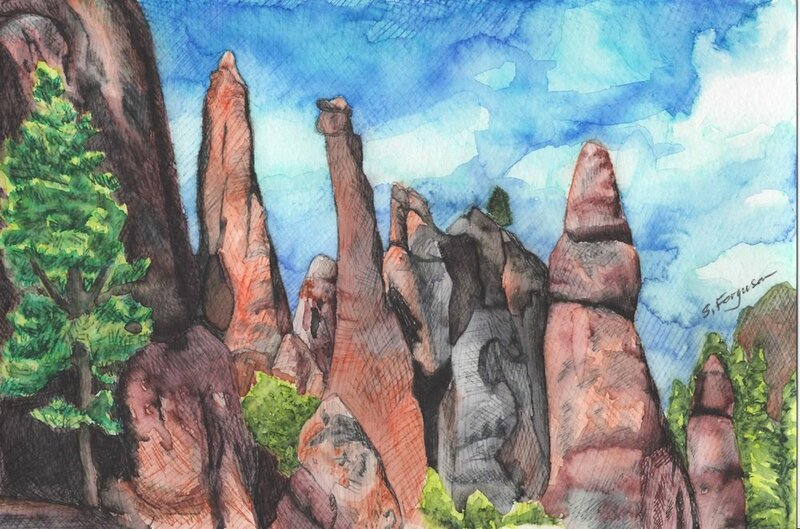 This class will cover the basics of watercolor painting. We will break down the process of how to use watercolor paints, and cover various art materials and how to properly use them. All levels of artists are welcome. There will be a $7 class fee for supplies which will cover paper and paint used. Students are welcome to bring their own watercolor paint and 140 lb watercolor paper if they wish to, in place of the supply fee. Description: you’re invited to explore the beauty of watercolor painting! you will learn the basics of watercolor painting, experiment with different application techniques and tools, and create your own holiday work of art. Projects include cards, gift tags, bookmarks or a holiday themed work of art suitable for framing. The workshop will feature an introduction and hands-on tutorial of basic techniques (wet on wet, dry on wet, etc.) as well as an introduction to alternative application tools and techniques. Learn the steps to create your own holiday-themed greeting cards and postcards using watercolor paints and techniques. All supplies included. In this Winter Wonderland kids will create various projects in the pottery studio. Prepare to get your hands in the clay, maybe on the clothes, and create amazing winter inspired pottery/art! Students will work step by step in this 4 day class creating their own individual winter inspired items for keeps! See you in the mud room! Professional fused glass artists Jennifer Boyle instructs students in a step by step process to create a shadow box that is lighted. Shadow box is a decorative piece of art that is lighted. Below are some examples of completed shadow boxes. Yours will be designed by you to fit your personality. Students will make chili soup, butter from cream, fried bread. All of this will be from scratch with a recipe sent home. Eat with the class and take home leftovers. Bring your own containers. During downtime, dabble in some acrylic paints and create a small painting to take home. Dress up if you dare for a hair raising good time! Games, stories, popcorn, treats, and the monster mash. The Humane Society is bringing their furry friends to join in on the fun. This event is free and family friendly. We hope you will consider donations for the animal shelter, such as adult Cat/Dog, Kitten/Puppy wet/dry foods, kitty litter, leashes, cleaning supplies, and office supplies. There will be a box for donations at the entrance The Arts Center's event. RCHS staff will be available to meet potential adopters, answer adoption questions and review applications. All pets are already spayed/neutered, vaccinated, wormed, flea treated, and microchipped. The Arts Center is a non profit, 501c3, and we rely on donations. If you would like to make a donation to this event, in the form of supplies, decorations, pumpkins or more, please contact the Coordinator at 304.637.2355.